Fakulti mengucapkan TAHNIAH kepada YBhg. Prof. Dr. Mohd Ali Hassan dan Y.M. Prof. Dr. Raja Noor Zaliha Raja Abd. 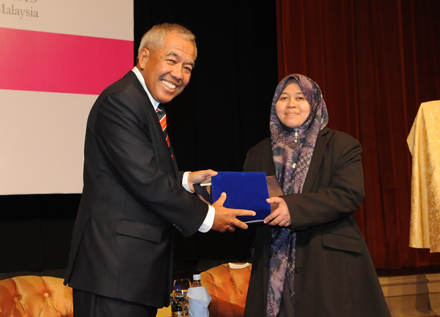 Rahman diatas pengiktirafan sebagai "Top Research Scientist 2013" oleh Akademi Sains Malaysia. Tahniah! 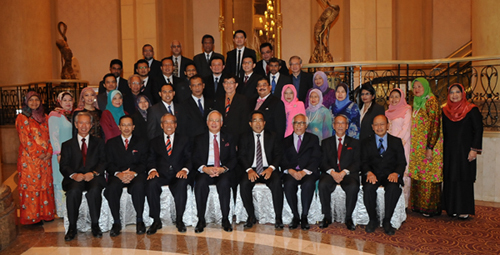 KUALA LUMPUR, 18 Dec (UPM) – Twelve scientists of Universiti Putra Malaysia (UPM) were among the 35 recognised as the top research scientists of the country for 2013 by the Academy of Sciences Malaysia (ASM) in a ceremony here last night. 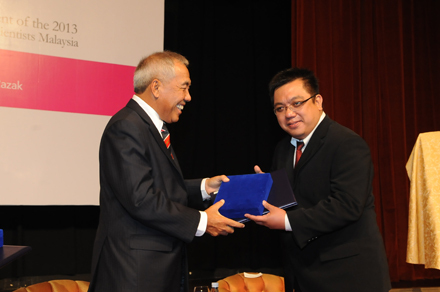 One of the 12 UPM scientists was also inducted as a Fellow of ASM during the award-presentation ceremony at a dinner at a leading hotel that was also graced by Prime Minister Dato’ Seri Najib Tun Razak. She was also among the 35 scientists acknowledged as the top research scientists of the country for this year. 3. Assoc. Prof Dr M. Iqbal Saripan, an expert in medical electronics who is the Head the Department of Computer and Communication Systems Engineering of the Faculty of Engineering. 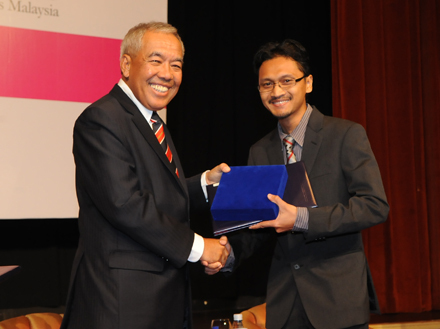 Dr Iqbal, 33, has won the Young Scientist award by Ministry of Science, Technology and Innovation (MOSTI) last month. 5. Prof Dr Mohd Ali Hassan, an expert in biomass technologies is a professor in the Department of Process and Food Engineering of the Faculty of Engineering. Prof Dr Ali, who read his PhD in Environmental Biotechnology from Okayama University of Japan and a BSc (Hons) in chemical engineering from Leeds University, is currently involved in research on biogas, bioplastic and biocomposing. 6. Prof Dr Noh Azah Yusof, whose research interest is in chemical and biosensor development, specifically in medical diagnostic and environmental monitoring, is from the Chemistry Department of the Science Faculty.